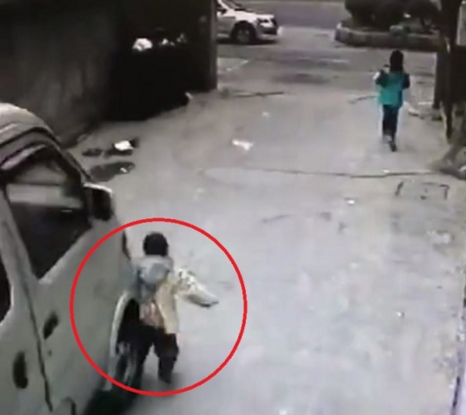 Miracle Happens After a Boy Gets Run Over By A Mini Van! 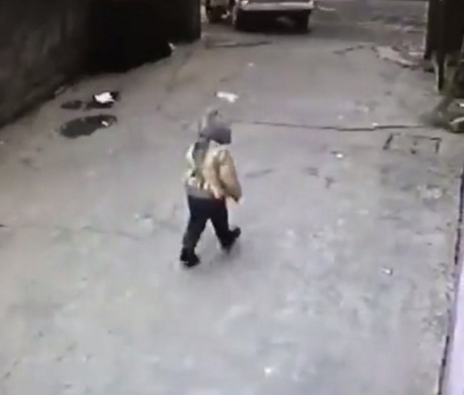 Incredible video hit the social media community of a 4-year-old boy getting knocked down and run over by a minivan, and then getting right back up like nothing happened. According to Sina, the footage is from a Nanjing neighbourhood on March 9th. 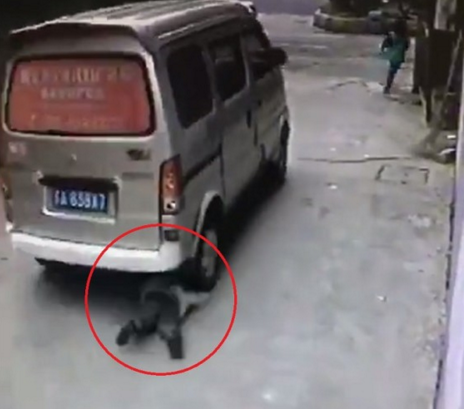 The child, identified as 'Xuan' who suffered only a minor injury to his head after getting completely run over by a van. 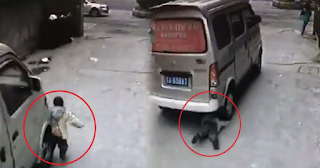 The heart-stopping clip shows the van hit the boy, dragging him beneath its wheels which completely roll over his body. Meanwhile, the driver of the van didn't stop after running over a 4-year-old child. He is currently being held by police while investigations are made. Of course, every time that a child gets run over in China, it makes us think of the tragic story of Little Yue Yue. In October 2010, Little Yue Tue was run over twice and left clinging to life in a Foshan alley, overlooked by at least 18 passers-by. Luckily, a female trash collector saw her and called for help. She was sent to the hospital where she died eight days later. This specific case bears a strong likeness to an incident also caught on video in Fujian last year in which a 2-year-old boy was ran over by a car, and managed to crawl back to his feet. Police are now investigating the incident. The driver reportedly told authorities that he did not see the child because he was in his blind spot.